Judicial Corruption In GA Has Not Changed At All, The Judges Now Are As Corrupt and Probably More Corrupt Than in 2015 When This Article Was Written! More than five dozen Georgia judges have stepped down from the bench in disgrace since the state’s judicial watchdog agency began aggressively policing ethical conduct eight years ago. 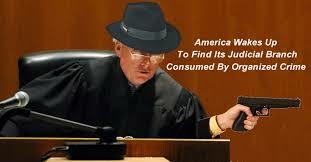 More lately, however, the jurists aren’t just leaving the court in disgrace. Some are leaving in handcuffs. Earlier this month, former North Georgia magistrate Bryant Cochran was sentenced to five years in prison by a federal judge who said Cochran had destroyed the public’s faith in the judiciary. In June, a one-time influential chief judge from Brunswick was indicted by a Fulton County grand jury. And a specially appointed district attorney is now considering similar charges against a former DeKalb judge. These criminal prosecutions were brought after the state Judicial Qualifications Commission launched investigations of the judges. Instead of being allowed to step down from the bench and return to a law practice, these judges are hiring criminal defense lawyers. 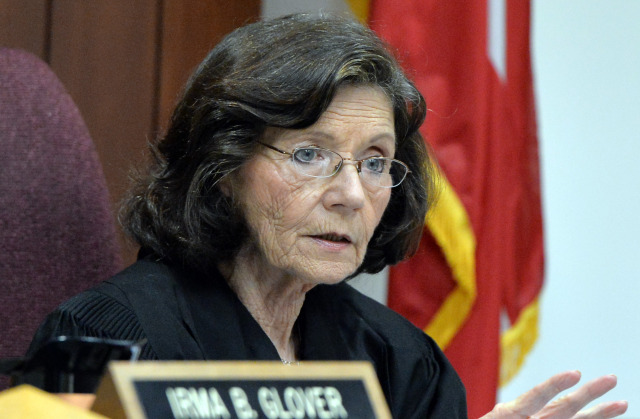 Cobb County State Court Judge Glover Retired, crooked as they come. 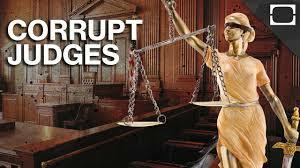 DeKalb County Superior Court Judge Becker forced off the bench, one of the most corrupt. Georgia Supreme Court Barnes, allows and participates in the corruption. DeKalb County Probate Court Judge Jeryl Debra Rosh, was corrupt when she was a clerk, ruling in place of Judge Marion Guess, with his knowledge, and even more corrupt as Probate Judge, retired early. 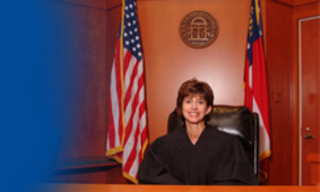 DeKalb County Georgia Judge Cynthia J. Becker, May Get Her Just Due! The Georgia Court of Appeals has agreed with prosecutors that DeKalb County Superior Court Judge Cynthia Becker was wrong to reverse the felony corruption convictions of a former county school district administrator and her ex-husband. The decision by the three-judge appeals panel on Wednesday extends a roller-coaster ride for the defendants, who were released from prison after Becker’s surprise order last fall. The appeals court vacated Becker’s order granting a new trial to former schools chief operating officer Pat Reid. Judge William Ray II wrote for the panel that even though Becker didn’t believe the testimony of Reid’s co-defendant and former boss, Crawford Lewis, Becker did not fully weigh Lewis’ testimony against the remaining evidence before granting a new trial to Reid. The court remanded Reid’s case to the trial court for further consideration of Reid’s motion for new trial. The panel also reversed Becker’s order granting a new trial to Reid’s ex-husband, architect Tony Pope, stating she lacked authority over that matter. A county grand jury indicted Reid, Pope and Lewis, the former schools superintendent, for conspiracy and theft in July 2013. The charges stemmed from allegations they manipulated school construction contracts for personal gain. In October 2013, Lewis pleaded guilty to a misdemeanor obstruction charge in exchange for his testimony at trial against Reid and Pope. A trial jury convicted Reid and Pope in November 2013 of racketeering. Reid also was convicted of theft. Reid received a 15-year prison sentence, and Pope received an eight-year prison sentence. Lewis’ plea agreement with the DeKalb district attorney’s office called for a sentence of 12 months of probation. But Becker rejected that part of the deal and instead sentenced Lewis to a year in prison. “Without challenging the truthfulness of Lewis’ testimony, the trial judge—admittedly incensed by what she considered to be the ‘abhorrent’ criminal conduct of all involved—emphasized that Lewis was ‘a public official, this was on his watch, he stood by. And then he hindered and interfered with and tried to stop the completion of a rightful, lawful investigation,'” Ray wrote in the opinion, quoting Becker’s words at Lewis’ sentencing. Lewis appealed, and the DA’s office—concerned about its credibility in making plea deals—took Lewis’ side. The Court of Appeals last October remanded Lewis’ case to Becker so she could identify specific testimony by Lewis that she considered to be questionable. In a footnote of that opinion, the court implied that if the credibility of Lewis’ testimony was in question, then the validity of Reid’s and Pope’s convictions should also be questioned. Becker responded before the appeals court could send its remittitur, pointing out pieces of Lewis’ testimony she found untruthful and ordering new trials for Reid and Pope. The Court of Appeals responded, halting her orders and the release of Reid and Pope from prison. Reid and Pope had indeed filed motions for new trials, but Pope’s attorney withdrew his motion just before Becker entered her order and filed a notice of appeal. The DA’s office has alleged that this action was the result of ex parte communications between Becker and Pope’s lawyer. Because Pope no longer had a pending motion for new trial, the Court of Appeals on Wednesday found that Becker’s order related to Pope was improper as a matter of law. Becker later acknowledged that she was the subject of an investigation by the Judicial Qualifications Commission but said she would step down March 1 to get married. Gov. Nathan Deal received a short list of candidates from his Judicial Nominating Commission nearly two months ago but has not yet made an appointment. DeKalb Superior Court Judge Gregory Adams granted Reid and Pope bond in December. A spokesman for DeKalb District Attorney Robert James had no comment. Reid’s attorney, Tony Axam, said his client will remain free on bond while the trial court considers her motion for new trial. Axam also said he is confident that Lewis’ testimony was crucial for prosecutors and so the remaining evidence would not be enough to convict his client. However, Axam seemed perplexed that another judge, one who did not witness Lewis’ testimony first hand, will be the one to decide whether Reid should get a new trial. “I contend only Judge Becker can talk about whether Crawford Lewis passed the smell test,” he said. Axam said he may consider subpoenaing Becker as a witness. Former DeKalb County Superior Court Judge Cynthia Becker is the subject of an official ethics complaint filed Monday with the Supreme Court of Georgia. 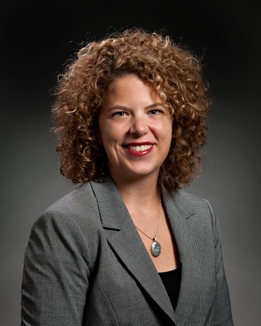 The state Judicial Qualifications Commission, the agency tasked with investigating and prosecuting wayward judges, has charged Becker with six counts of violating the Code of Judicial Conduct, mostly related to her handling of a 2013 DeKalb County schools corruption case. That case resulted in the convictions of former school system COO Pat Reid and her ex-husband, architect Tony Pope. The jury found that Reid and Pope conspired to fix school construction contracts for personal gain. Former schools superintendent Crawford Lewis was to be a co-defendant in the case but took a pretrial deal in which he pleaded guilty to a misdemeanor obstruction charge in exchange for his testimony against Reid and Pope. All three were eventually sentenced to prison time. Lewis successfully appealed his sentence to the state Court of Appeals, with the judges holding that Becker should have honored the district attorney’s deal allowing Lewis to be free on probation. Becker had said she didn’t believe Lewis’ testimony. The state Court of Appeals last week overturned Becker’s order granting new trials for Reid and Pope. In its filing with the high court, the JQC charged Becker with failing to honor the plea agreement between Lewis and the DeKalb County District Attorney’s Office; making false or misleading statements to the commission about whether she knew if Lewis or his attorneys had sought bond; engaging in improper ex parte communications with attorneys for Reid and Pope; and making public comments in a political forum about the Lewis case. Two other charges stemmed from her actions while serving as the court’s November/December grand jury term judge. The JQC has charged Becker with refusing to perform her duty to charge the jurors and accept the return of new indictments in open court. 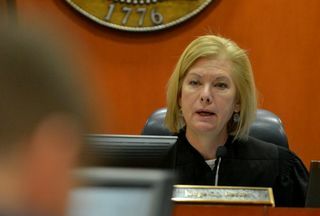 Although Becker stepped down from the bench on March 1, as she promised to do last fall, the JQC claims she is still subject to the judicial code because a complaint was filed within a year of her time as a judge. Becker said Monday that she had not seen the JQC’s filing and had no comment on its contents. The Daily Report will have more details later Monday and in Tuesday’s print edition.